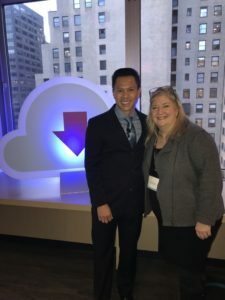 Jimmy Nguyen again hosted DOWNLOAD NY 2017 – a digital tech conference run by his former law firm Davis Wright Tremaine LLP. In addition, he delivered an opening keynote presentation entitled “Digital Intelligence” – talking about how digital savvy s a new form of intelligence. Throughout the day, session topics included branded content, digital music licensing, children’s marketing and products, accessibility and discrimination issues online, auto-renewal of digital subscriptions, and artificial intelligence.